The best thing about working in the visual effects industry (besides creating monsters and destroying cities) is the relationships and collaborative projects that arise from it. 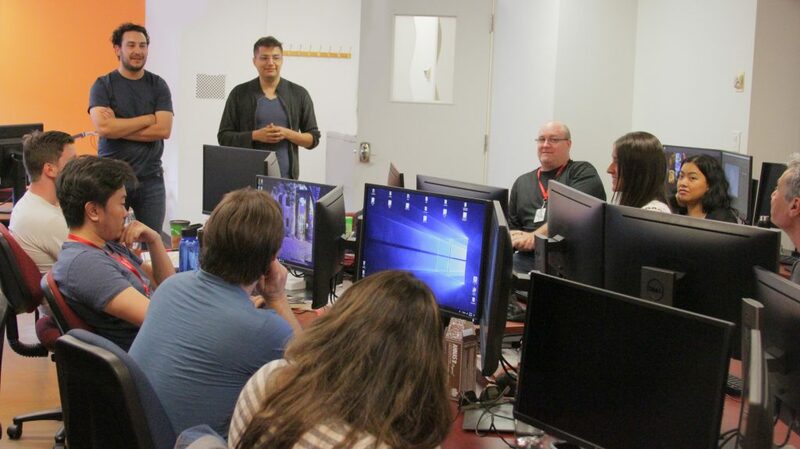 VanArts was thrilled to hear about the latest venture by two of our graduates in Visual Effects for Film & Television who recently collaborated on a short film in Vancouver. 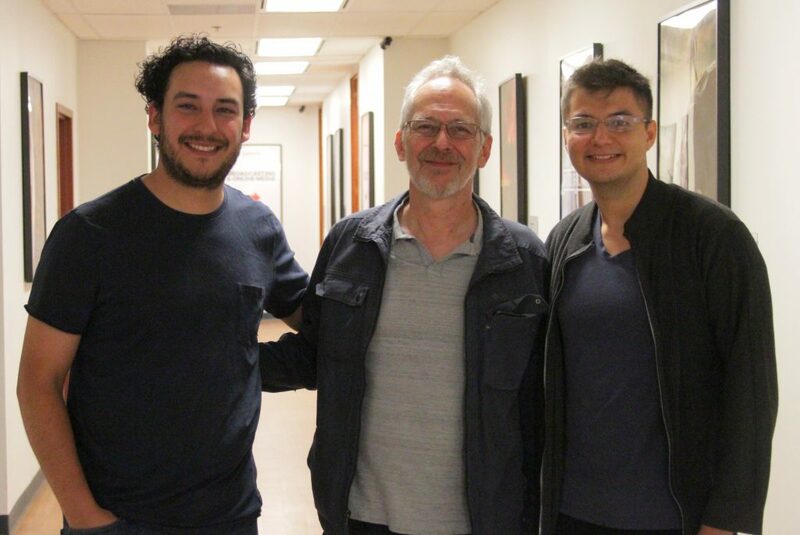 Eduardo Parra and Eden Muñoz with their VFX Department Head Wade Howie. Eden Muñoz graduated from our program in 2013 and landed work in Vancouver at several studios, working on TV movies and feature films such as Chappie, San Andreas, and The Hunger Games: Mockingjay Part 2. He now runs his own VFX studio, Pixel Perfect, in Monterrey Mexico, employing a group of artists who have contributed to Game of Thrones and a growing list of local commercials & music videos. Most recently, Eden has added design and supervisory roles on the films Alex Winter and Midnight Special. Eduardo Parra is a graduate of both Game Art & Design and Visual Effects at VanArts, having completed his studies in 2012. His post-graduate career in Vancouver has given him the opportunity to work on TV series such as Once Upon a Time, Arrow, Falling Skies, Vikings, The Strain, and Stephen King’s The Mist, and features such as American Sniper, Furious 7, Miss Peregrine’s Home for Peculiar Children, and Fantastic Beasts. Eduardo has also taken on conceptual design & producer roles for several short films shot in BC. It just so happened that when Eduardo heard about one of these short films needing a considerable amount of visual effects, he remembered and recommended his classmate Eden, and the rest is history. Eden recently spent a month in Vancouver this summer, supervising VFX on set, before returning to Mexico to continue running his studio. While in town, he took the opportunity to visit his former department head Wade Howie and his other favorite instructors. Eden and Eduardo both popped by to meet with our current batch of students, answer questions and give advice. Meet them both in this video, where they share about their unfolding careers. It just goes to show, it’s not only what you know, but WHO you know! Congrats Eden and Eduardo and thanks again for sharing your journeys with us. Keep doing us proud! Contact us today to speak with an advisor about your own VFX career. Applications (and scholarships) are still being accepted for March 2019 if you act fast!